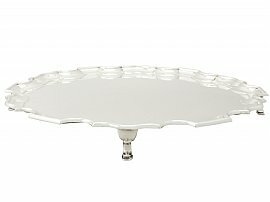 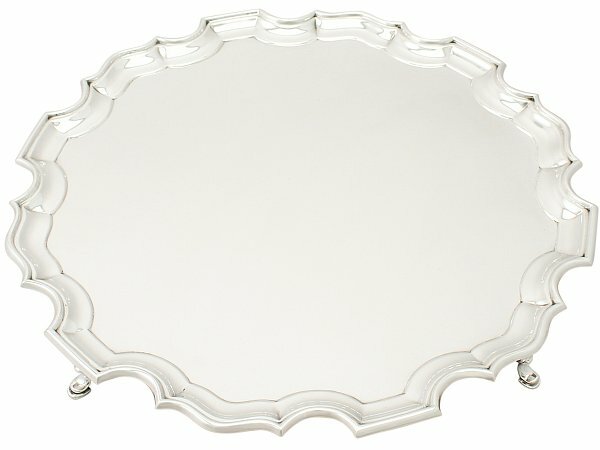 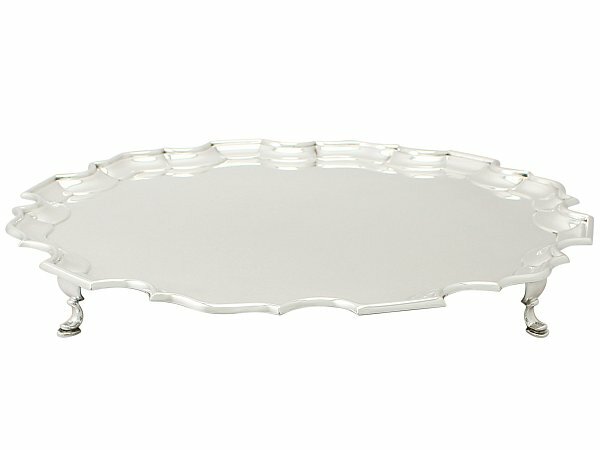 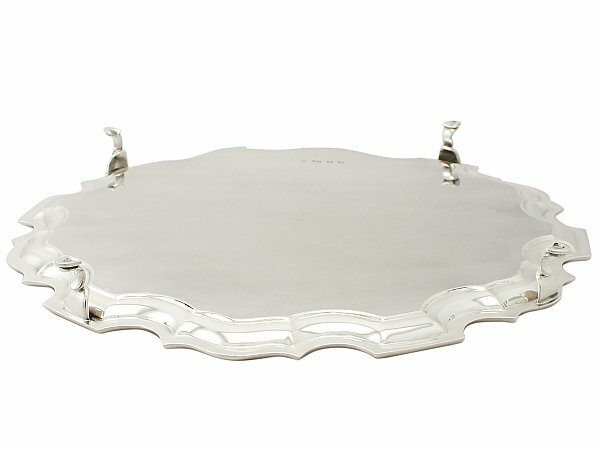 This exceptional vintage George VI English sterling silver salver has a circular shaped form onto four feet. The surface of this large silver salver is plain and unembellished. 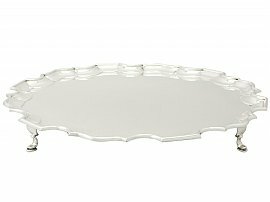 The impressive raised Chippendale style border is encompassed with applied moulded decoration to the rim. 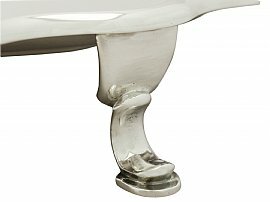 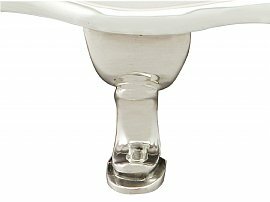 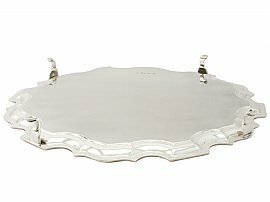 This impressive salver is supported by four impressive hoof style feet. 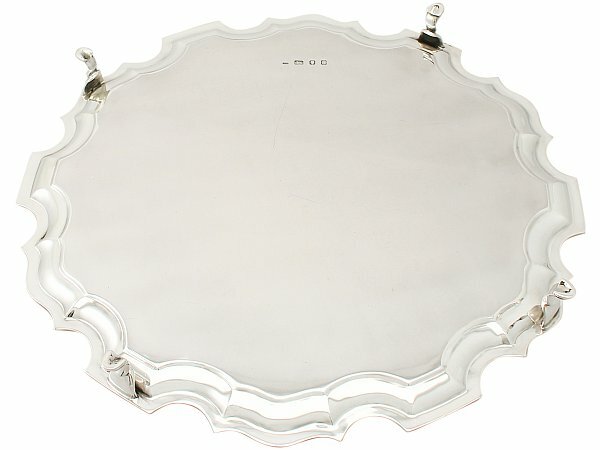 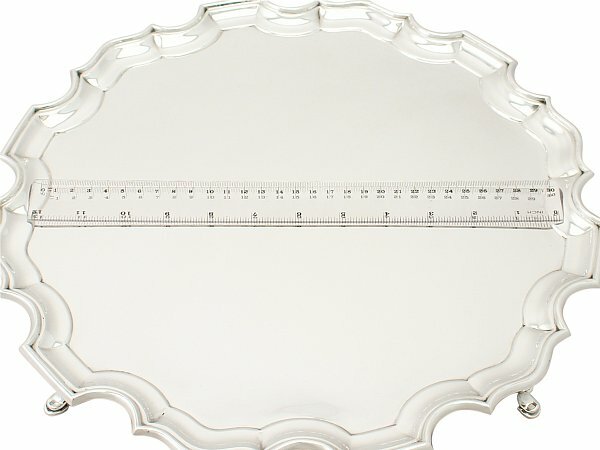 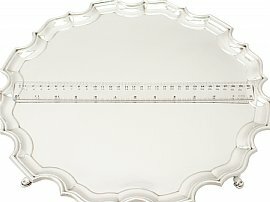 This antique large silver salver is an exceptional gauge of silver, exceptional quality and in exceptional condition. 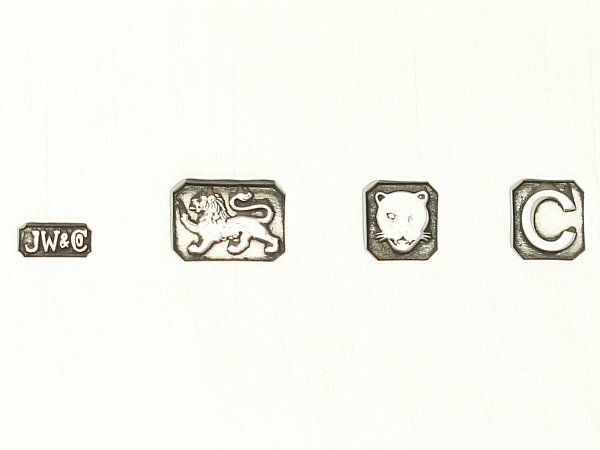 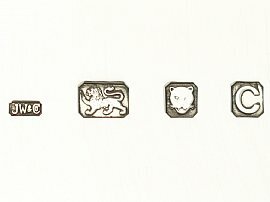 Full hallmarks struck to the underside are all very clear. 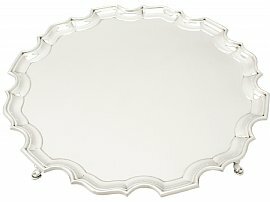 Reflections in photography may detract from the true representation of this impressive piece of antique silverware.